Product #1622 | SKU 1365653 | 0.0 (no ratings yet) Thanks for your rating! 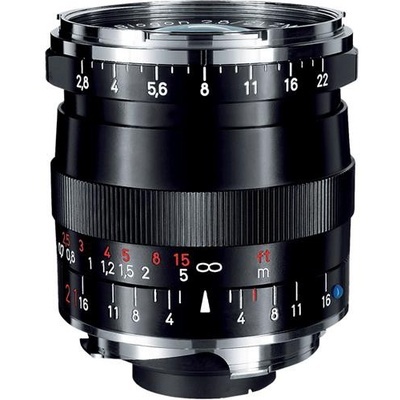 Balancing a super-wide focal length with a compact form factor, the black Biogon T* 21mm f/2.8 ZM from ZEISS is a versatile lens designed for M-mount rangefinder cameras. Its wide-angle design is complemented by a Biogon optical concept, which nearly eliminates distortion for well-corrected, accurate rendering. A T* anti-reflective coating has also been applied to individual elements to reduce lens flare and ghosting for greater colour accuracy and contrast in strong lighting conditions. Additionally, the lens's manual focus design permits working with subjects as close as 50 cm away. Manual focus design enables a minimum focusing distance of 50 cm.